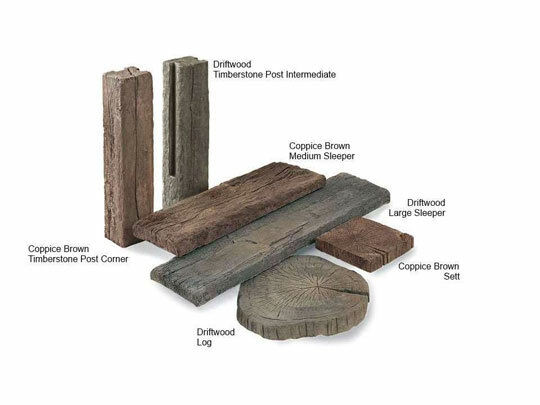 Timberstone stepping stones offer a realistic alternative to natural wood, without the fear of deterioration or rotting. 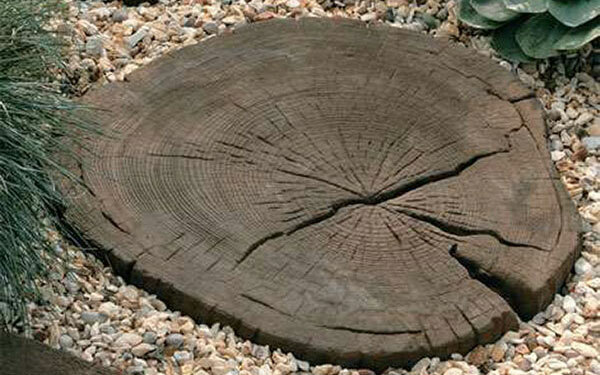 Each Timberstone stepping stone has an attractive, ringed finish, with authentic bark effect edges. Two colours are available – Coppice Brown (dark brown) or Driftwood (variegated dark grey). 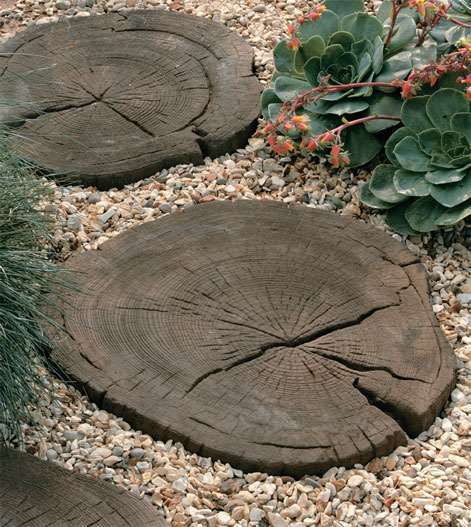 These log stepping stones are manufactured in a range of moulds resulting in a variety of shapes and surface finishes, allowing you to achieve a more random, natural effect in your garden setting. These garden stepping stones are manufactured from styled concrete, so won’t rot, and offer a greater slip resistance to their natural wood alternative. They are perfectly suited for creating random garden pathways, or perhaps as a way of crossing a garden lawn in wet conditions. 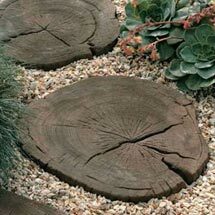 Timberstone log effect stepping stones can be purchased through our network of UK stockists, details of which you can find using our online stockist search tool. 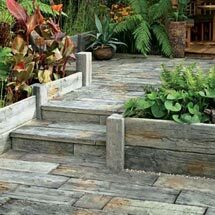 Stonemarket also offer a range of timber effect paving sleepers and timber effect raised flower beds that you may also like to consider – perfect for creating a traditional garden design. Plus, Stonemarket have now introducted a Timberstone Decking. 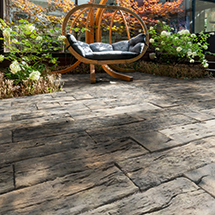 Timberstone Stepping Stones is one of our stepping stones products within our paving and pathways range.